Late last year Flymen fishing company released their new articulated shanks in three different sizes. I’ve just recently started to play around with it, and mainly with the 55 mm shanks for big pike flies. Two examples are shown below. 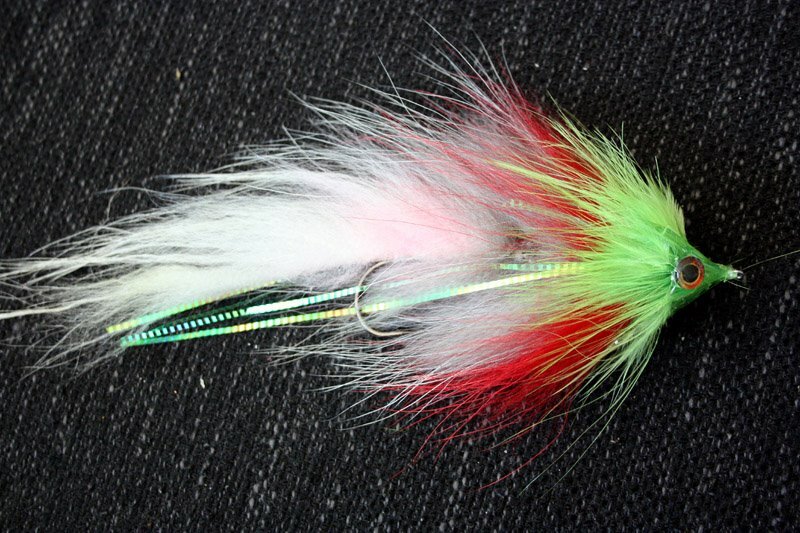 These shanks adds both the dimension of placing the hook further back like with a tube but it also adds a whole new dimenssion of movement in the fly. This fly has a body/wing of yellow and green bird fur with white Gliss’n glint fibers on the underside. A couple of olive sadle hackles and a few olive birdfur feathers as wing are also in there. The head is Big Bond over crystal eyes. The hook is Partridge Ultimate predator 4/0. This fly below has even more wicked movement in it. It has a tail of white Fin racoon zonker with a few turns of grey Fin racoon winded in front of it to add more preasure of water. The front (the Articulated shank) has first a grey Fin racoon zonker winded 3-4 turns, then red Fin racoon winded again 3-4 turns. The front is some lateral scale flash and green Whiting Bird fur feathers. 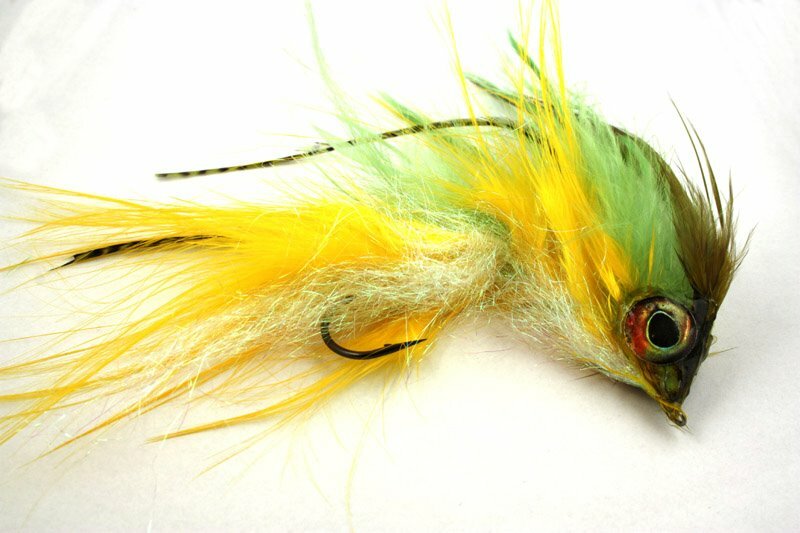 This entry was posted on Tuesday, April 10th, 2012 at 14:00	and posted in fly tying. You can follow any responses to this entry through the RSS 2.0 feed.